The Bombay High Court issued notices on Thursday to the Maharashtra government, BMC and the BEST Workers' Union over a PIL against the ongoing strike of employees of the civic bus service. Mumbai: There seems to be no end to woes of lakhs of commuters in Mumbai as an indefinite strike by employees of the Brihanmumbai Electricity Supply and Transport (BEST) will continue on Friday as well. The talks between Union leaders and officials including, Shiv Sena President Uddhav Thackeray failed to yield any result on Thursday, resulting in the extension of the strike. “They have not given any proposals/offers to fulfil our demands. Since workers’ problems have been ignored and they have not provided any solution to redress their grievances, we are continuing with the strike,” a leading daily quoted BEST workers Union President Shashank Roa as saying. 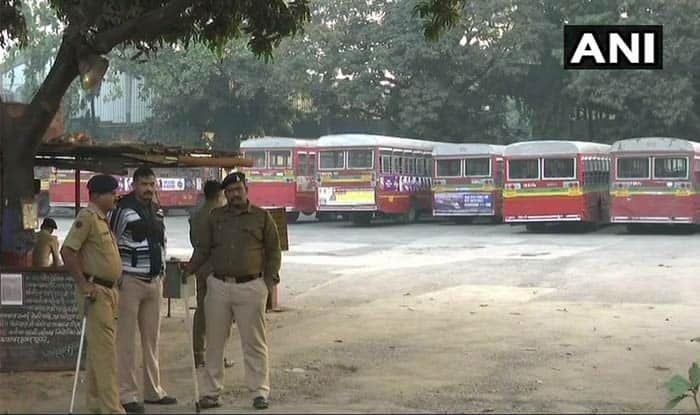 The Bombay High Court issued notices on Thursday to the Maharashtra government, BMC and the BEST Workers’ Union over a PIL against the ongoing strike of employees of the civic bus service. A bench of Chief Justice Naresh Patil and Justice N M Jamdar posted the matter for a further hearing on Friday. Thousands of workers of the BEST, the civic transport undertaking, are on strike since Tuesday for various demands, including salary hike. The public interest litigation filed by lawyer Datta Mane urged the court to pass interim orders directing BEST workers to call off the strike immediately. The petitioner also urged the court to direct the state authorities to constitute a committee to look into BEST workers’ demands.